CHENEY, WASH. - The University of Providence Argos have made the administrative decision to forfeit the games scheduled for the weekend of January 25th and 26th, including Eastern Washington University's Senior Night. The Eagles will instead host the Washington State Cougars on Friday night, when the senior players will be recognized for their accomplishments with the EWU Hockey program. There will be no game on Saturday night. "It's unfortunate that Providence didn't inform us of their decision sooner. We scrambled to find a new opponent to allow our seniors to be honored for all of their accomplishments during their time here at Eastern Washington " said Club Sports Coordinator, Travis Allen, adding "We are extremely grateful that Coach Soriano and the WSU Cougars were able to rework their schedule in a way that would allow us to host this special night for our team." Season ticket holders should still use the ticket dated for January 25th, even with the new opponent. The EWU Eagles will head out on their final regular season road trip of the year, when they head to Bellingham to face fellow PAC8 team, Western Washington University, in two non-conference games February 1st and 2nd. 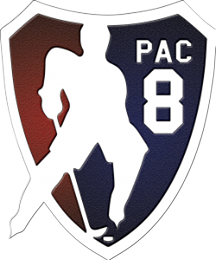 The Eagles will then head to Lake Tahoe for the PAC8 conference tournament February 8-10, you can find more information about the here.